Sometimes life just doesn't go your way; and you wonder if there is something out there that can help spin the world in your direction. We've got just what you need. A Mystic Knot Hanger helps you end your streak of bad luck and become a person with good luck. When you are at harmony with nature, connected with all living beings and able to draw upon the power of Buddha's infinite wisdom, your luck naturally improves. You will find our Mystic Knot Hanger on our Feng Shui Hangers page http://www.bocafengshui.com/hangers.html . OK, so you still have to try. But everyone out there could use some help getting ahead. Victory is within your grasp. You too can overcome seemingly insurmountable obstacles to achieve your desired goals with the Victory Banner Key Chain. The Victory Banner Key Chain is a portable Feng Shui cure that will help you become victorious and make all of your wishes come true. 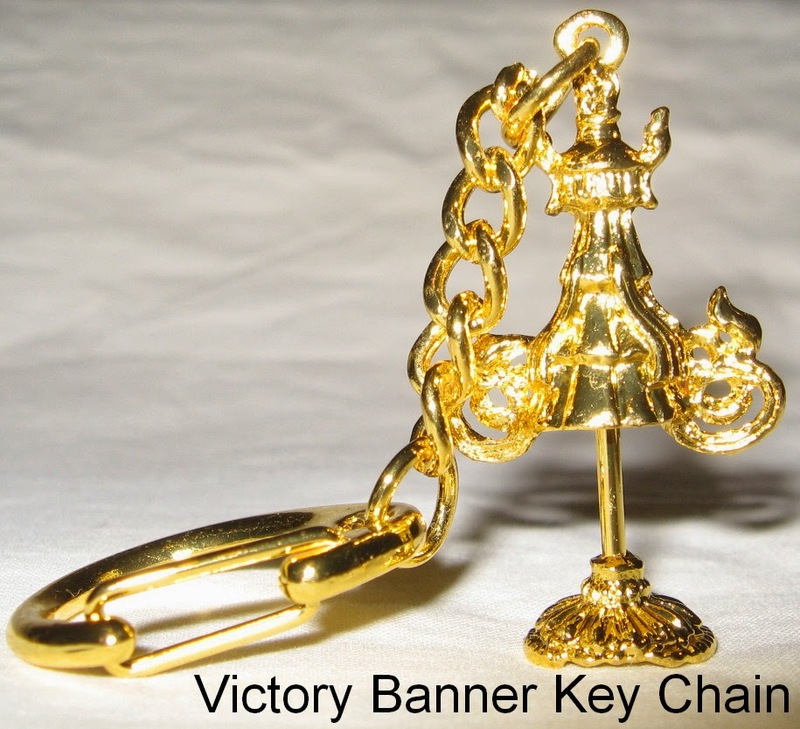 You will find our Victory Banner Key Chain on our Feng Shui Keychains page http://www.bocafengshui.com/fengshuikeychains.html . Is money coming to you in drips and drabs? Someone owe you money, but not paying? Waiting for money to come? Need money for something now? 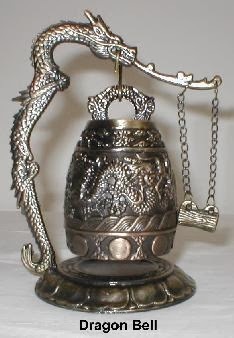 Then you need our Fast Money Chinese Hanger to speed up your Feng Shui money energy. It will help you attract money quickly into your life. You will find our Fast Money Chinese Hanger on our Feng Shui Money Cures page http://www.bocafengshui.com/fengshuimoneycures.html . The hottest things this March are our 1 inch Chinese Coins. Multifunctional, portable, and the ultimate Feng Shui symbol of money, everyone needs Chinese Coins. The 1 inch Chinese Coin appeals to everyone's taste and is small enough to fit anywhere and in any space. Where is everyone using their 1 inch Chinese Coins? Everywhere! Just look around, or look in their wallets, drawers, under their doormats, on their jewelry, key chains and more. You will find our 1 Inch Chinese Coin on Zen Appeal here http://www.yourfengshuistore.com/1-Inch-Chinese-Coin_p_28.html . Feel stagnant? Mix it up by making a temporary move. Move some furniture in a new direction or switch seats at the table. You may make it a permanent change or find that the temporary change has fixed your energy problem. March's Feng Shui Tip of the Month is our article called "Feng Shui Your Money" Read this month's Feng Shui Tip of the Month here http://www.yourfengshuistore.com/Tips_ep_58.html. Please stop by every month to read our tip before it goes away and is replaced by next month's tip. Hope you enjoy the Feng Shui Tip of the Month for March and our new tip every month. My son dropped my Buddha and broke it. Mark and Leslie, does this mean I have bad energy? What do I do with the broken Buddha? Thank you for your question. You do not have bad energy. Throw away the broken Buddha. Buy yourself a replacement Buddha. 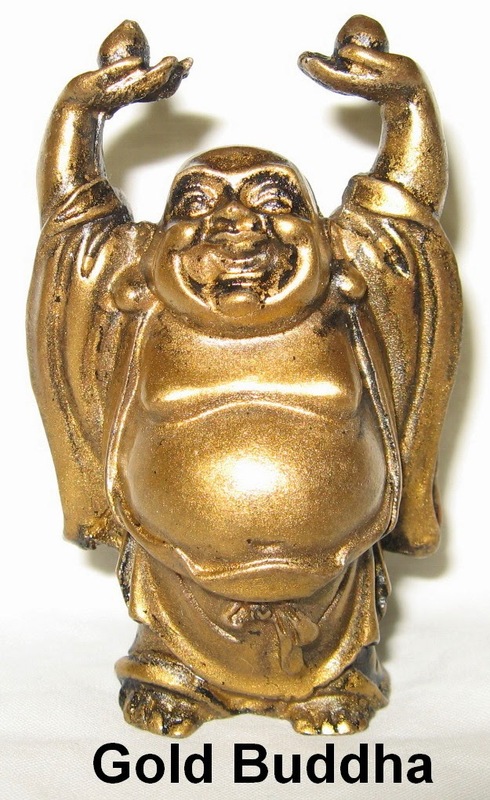 You will find our Red Buddha and Gold Buddha here http://www.yourfengshuistore.com/Buddha-Red-or-Gold_p_42.html . Zen Appeal has a page dedicated to special sale items, each available for a limited time only. Sale items come and go without warning, so please check the page often and enjoy the big discounts! Here's the link to the Zen Appeal Sale Page http://www.yourfengshuistore.com/On-Sale_c_23.html. Featured Sale Items include - Bagua Coin Necklace, Shou Hanger, Magic Fire Wheel Key Chain, Chinese Jade Double Dragon Necklace, Good Fortune Paper Lantern, Chinese Calligraphy Bracelet, 3-D Dreams Dream Catcher, Chinese Coin Leather Necklace, Long Life Character, Love Thy Neighbor Necklace, Feng Shui Wallet Coins, Lucky Carp Hanger, Chinese Coin - Large 2 inch, and more! Savings up to 50% off on some items! Some of our most popular items are on sale! Sale Prices starting as low as $2.00! All on our Feng Shui Sale page http://www.yourfengshuistore.com/On-Sale_c_23.html. Recently some of our popular items have unfortunately been discontinued by our suppliers. We have limited quantities of the following items available: Fast Money Chinese Hanger, Rose Quartz Heart Necklace, Buddha Fertility Hanger, Magic Fire Wheel Key Chain, Silver Chinese Coin Necklace, Dragon Gate Fish, Purple Dreams Dream Catcher, Evil Eye Hamsa Key Chain, Seduction Candle, Good Health Candle, Positive Energy Candle, Get Well Gift Set, Shou Hanger, Hamsa with Chai Necklace, Golden Fidelity Rooster, Love Thy Neighbor Necklace, Bagua Coin Necklace, Silver Pink Heart Necklace on Leather Cord, Ten Commandments Necklace, Chinese Coin Leather Necklace, Long Life Character, Chinese Calligraphy Bracelet, Power Silver Necklace, 3-D Dreams Dream Catcher, and Silver Floating Heart Necklace. You will find all of our limited quantity items on our Feng Shui Last Chance page http://www.yourfengshuistore.com/Last-Chance_c_25.html. Our Feng Shui Blog and Facebook page and Facebook group all include fun Feng Shui tips, special features, and up to the minute information. Have you been by yet? Check out our Feng Shui Blog at http://fengshuiconsultation.blogspot.com . We have continued to post on our Blog about our site updates. We also post updates when new products are added to Zen Appeal and when both the Zen Appeal Sale Page http://www.yourfengshuistore.com/On-Sale_c_23.htmland Feng Shui Tip of the Month http://www.yourfengshuistore.com/Tips_ep_58.htmlare updated. Currently our Blog has archived newsletters June 2008 - March 2014. Join our Zen Appeal Facebook page http://www.facebook.com/zenappeal and Feng Shui Hangout our Facebook group http://www.facebook.com/group.php?gid=79497550403 , where you can comment and ask us questions that we will answer. Please continue to enjoy! Portable forms of mystical protection have been necessary since ancient times. Whether you need protection from bodily harm or someone stealing your lunch, a portable protector is necessary. The Bagua Coin Charm is the perfect portable protector. 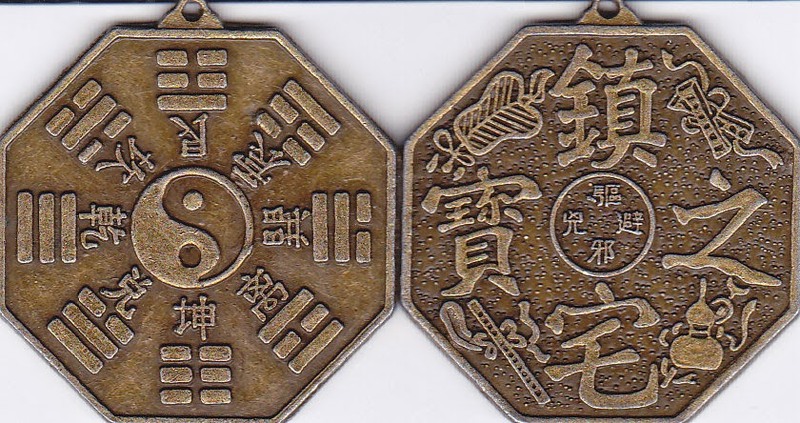 On the back of the Bagua Coin Charm there are Chinese characters that state "drive away evil spirits" and protection symbols. It is easy to carry the Bagua Coin Charm in a wallet, purse, pocket or handbag. It is also available as a necklace and keychain. You will find our Bagua Coin Charm on Zen Appeal here http://www.yourfengshuistore.com/Bagua-Coin-Charm_p_31.html . Who needs it? People who want to cement their romantic relationship. People in a serious relationship who plan to marry. People who are married. People who want to bring good luck to their romantic relationship. People who want to eliminate all negative energy in their romantic relationship. People who have had bad relationships and want to get rid of the negative energy. What do you do with it? Carefully following the instructions that we give you when you purchase it, and depending upon the above situation, hang your Marriage and Union Coin Wall Hanger in the appropriate area. You'll find the Marriage and Union Coin Wall Hanger on our Zen Appeal Feng Shui Love Cures page http://www.bocafengshui.com/fengshuilovecures.html . When you work really hard for something, you deserve to be rewarded. Unfortunately, that reward doesn't always come. Wouldn't it be great if there was a Feng Shui cure to increase your likelihood of reaping the benefits of your struggles? There is! Dragon Gate Fish fight their way to the top, just like you. Their success leads to your success. You deserve to be rewarded for all of your hard work. Let our Dragon Gate Fish help you have the happy ending that you've always dreamed of! 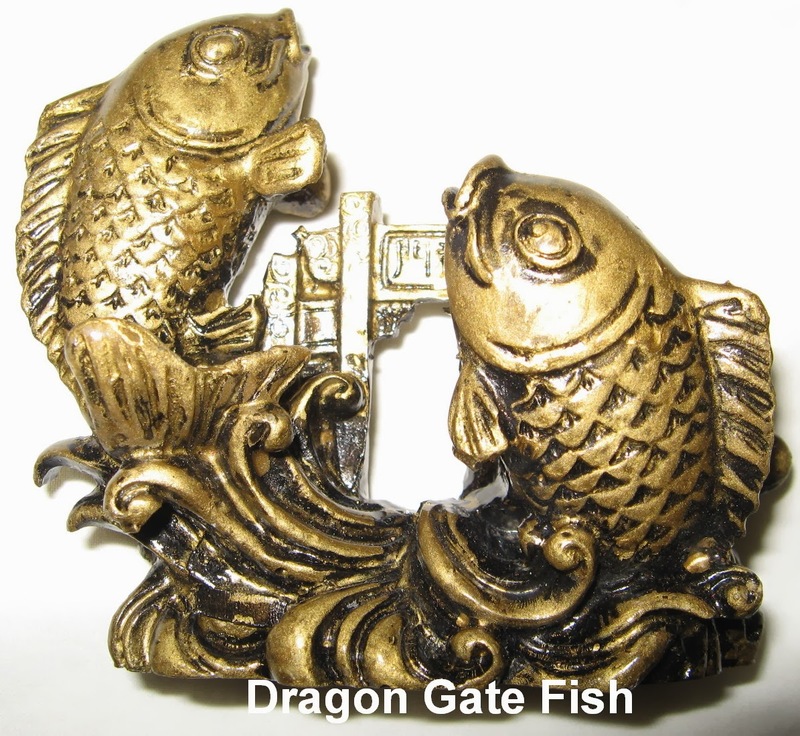 You will find our Dragon Gate Fish on our Traditional Feng Shui Cures page http://www.bocafengshui.com/fengshuicures.html . Our March Sale items have been added http://www.yourfengshuistore.com/On-Sale_c_23.html . Sale items come and go without warning, so please check the page often and enjoy the big discounts! Some of our new sale items include our Bagua Coin Necklace, Shou Hanger, Magic Fire Wheel Key Chain, Chinese Jade Double Dragon Necklace, and our Good Fortune Paper Lantern. Please visit our Zen Appeal Feng Shui Product Sale page http://www.yourfengshuistore.com/On-Sale_c_23.html to see all the great discounts for yourself. Savings up to 50% off on some items! Some of our most popular items are on sale! Sale Prices starting as low as $2.00! Don't forget, Free Shipping for all orders $50 and over.